As popular uprisings and post-revolt transitions change the political, economic and social structures of the Middle East, Kurds, the world’s largest nation without a state of their own, are emerging as the force that could spark a redrawing of borders and rewriting of minority rights in West Asia. As popular uprisings and post-revolt transitions change the political, economic and social structures of the Middle East the struggle for Kurdish rights, including autonomy if not independence, moved center stage in the past week with a Syrian Kurd becoming head of the opposition Syrian National Council (SNC), Iraqi Kurdistan hosting an international tournament for nations that world soccer body FIFA refuses to recognize, and the hardening of attitudes of Turkish Kurds. The election of Abdelbasset Sieda, a Sweden-based Kurdish activist and historian, is intended to unite Syria’s fractured opposition as the country reels from mass murders of civilians believed to be by militias loyal to embattled President Bashar al-Assad and teeters on the brink of civil war. The attacks on civilians and mounting armed opposition have all but stymied the joint United Nations-Arab League mediator Kofi Annan’s efforts to put an end to the 16-month bloodshed in Syria. Uniting Assad’s opponents is no easy task. The SNC unlike the Libyan National Council on which it was modeled, has not been able to build a consensus among a myriad of opposition groups. Nor has it succeeded in bridging the gap between Assad’s opponents in Syria and those in exile. As a result, the SNC has failed to project itself as a credible alternative to Assad’s government despite backing from the United States, the European Union, the Arab League and Turkey. 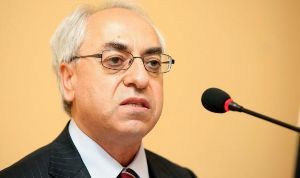 Critics claim that the SNC is dominated by Islamists, which has allowed Assad to either garner support from the country’s religious and ethnic minorities or ensure their neutrality. By electing Seida, the SNC wittingly or unwittingly has moved the struggle of the 26 million Kurds, who are spread over Turkey, Syria, Iraq and Iran, into the spotlight. For much of their post-World War history the various Kurdish communities have campaigned for greater political and cultural rights rather than for independence from their host countries. Even the Turkish Kurdish Workers Party (PKK), the only major group to have called for a pan-Kurdish state, has lowered its sights, calling for greater freedom for Kurds in Turkey who account for up to 20 per cent of the population. For its part, Iraqi Kurdistan has flourished under the US air umbrella that shielded it from deposed Iraqi leader Saddam Hussein’s wrath for 12 years and has since the fall of Saddam in 2003 become a country-in-waiting as it puts all the building blocks of a state in place. Kurdistan last week demonstrated its ability and intention to conduct a foreign policy at odds with that of Baghdad with its hosting of a World Cup for nations that world soccer body FIFA refuses to recognize. It was significant that Morocco protested against the inclusion of the disputed Western Sahara in the tournament to the Kurdish department of foreign relations rather than the Iraqi foreign ministry, and negotiating a deal under which the Saharans were not allowed to fly their flag during ceremonies and matches. Sieda’s election offers the SNC an opportunity to draw the Kurds, Syria’s largest minority who account for nine per cent of the country’s population, into the anti-Assad front. They have been straddling the fence until now because the Syrian leader’s opponents have been unable and unwilling to make Kurdish rights a part of their vision for Syria’s future. Winning Kurdish support would deal a significant blow to the Assad regime that until now has been able to rely on the neutrality or support of the country’s minorities who make up an estimated 45 per cent of the Syrian population. Syria’s minorities – Alawites, Christians, Druze and Kurds – have remained on the side lines of the revolt because of fear of what Syria may become in a post-Assad era. The opposition’s inability to set aside internal differences and form a united front has heightened minorities’ sense of risk and uncertainty. Alawites, the religious sect to which Assad belongs, fear a cycle of sectarian violence and revenge if the Syrian leader were forced out of office. Christians are concerned that their relative secure status would be undermined in a post-Assad Syria that would likely be dominated by Islamist forces. The opposition has so far been unable to convince Kurds, Syria’s most disenfranchised minority, that it would adopt a policy that recognizes the group’s minority rights by, for example, promising to redefine Syria as a multi-ethnic rather than an Arab state. Iraqi Kurds have advised their politically divided brethren not to take sides in the Syrian insurrection until the opposition takes Kurdish concerns into account. The Syrian president sought to prevent Kurds from joining the revolt last year by promising to reinstate Syrian citizenship for those who were made stateless. However, only several thousand of the more than 300,000 Kurds who were deprived of their citizenship have seen it restored in the past year. Even if Sieda’s election fails to enable Faris to make good on his promise to nail the regime’s coffin, Syrian Kurds may well see their opportunity approaching soon. With no end to the violence in sight, the likelihood that Syria will further fragment politically and the possibility that the revolt will eventually undermine the country’s territorial integrity, Syrian Kurds could well see a chance to carve out a political entity of their own on the model of Iraqi Kurdistan. That would not go unnoticed in predominantly Kurdish southeastern Turkey where attitudes are hardening after last year’s break-off of talks between the government and the PKK and the killing of 34 mostly teenage Kurds last December in a Turkish air force strike that was supposed to target Kurdish guerrillas. Similarly, it would likely reignite fervour for autonomy in Kurdish populated areas of Iran just across the border from Iraqi Kurdistan.